10.5 kg. , 23.1 lbs. 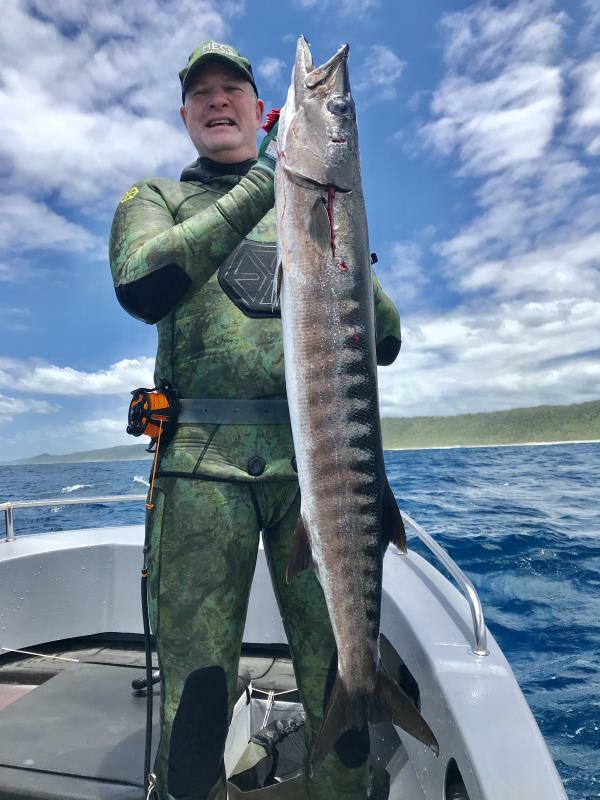 I was diving in Cape Vidal on some reef structure and after reaching the bottom in 15-20m the barracuda swam in to investigate. Initially I assumed it was a Pickhandle Barracuda and managed to place a good shot stoning the fish as it swam across my gun line. When i reached the surface and secured the fish i realised the fish might be a different species - possibly a sawtooth.